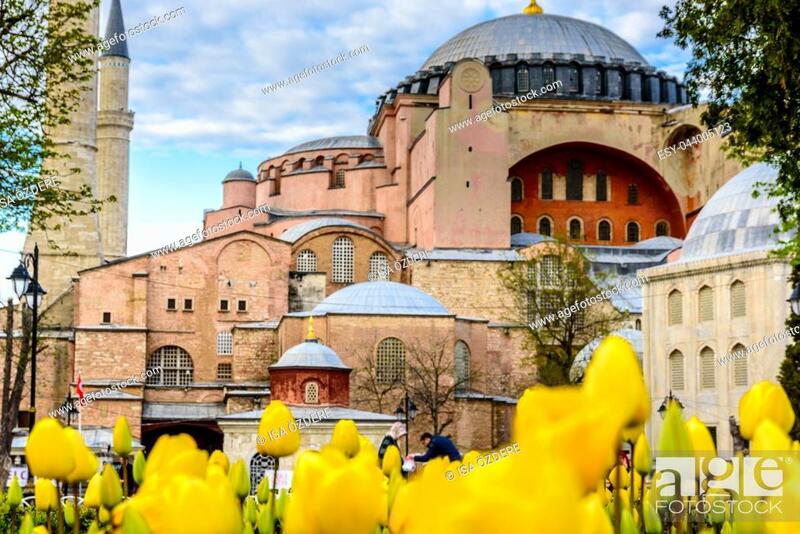 Foto de stock - Traditional tulip Festival in Sultanahmet Square with view of Hagia Sophia,Greek orthodox Christian patriarchal basilica (church) on background and colorful tulips on foreground. Istanbul,Turkey ... . 04 April,2017.